In celebration of its 153rd anniversary, BACARDÍ rum announces the first packaging update to their iconic brand in more than a decade. Heavily influenced by Art Deco style, the new bottle design reflects the brand’s unique heritage and provenance, although its timeless quality ensures it looks just as good in some of the world’s finest bars today as it did in the 1920’s. The re-designed presentation of the portfolio of BACARDÍ rums has been through several creative processes with painstaking research into The Bacardi Archive. 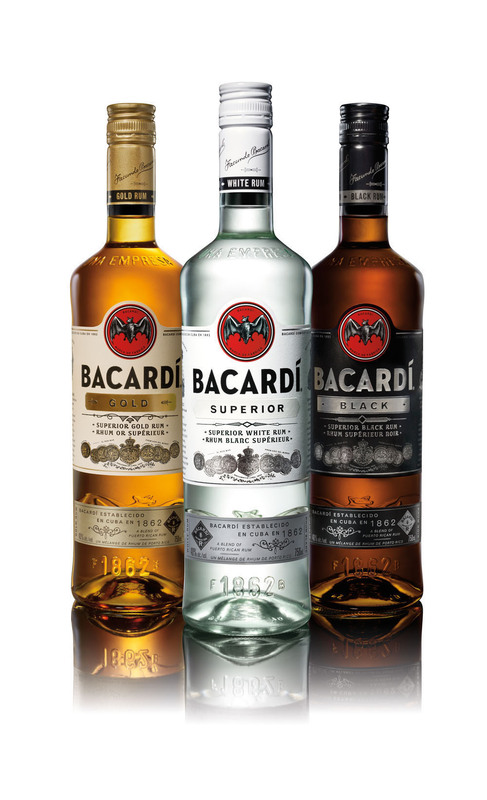 Due to the exile from Cuba, BACARDÍ rum is currently produced in various locations mainly in Puerto Rico and Mexico with the same methods first pioneered by Don Facundo Bacardí Massó, using the special Bacardi yeast, lightly charred American white oak barrels and a secret combination of charcoals to filter the rum. The unique flavor profile of BACARDÍ rum has remained unchanged since 1862. It is this special craftsmanship and history that is celebrated today and reflected in the new bottle design. The new pack will launch in Canada in April. For more information on ‘BACARDÍ Untameable Since 1862’, BACARDÍ rum and cocktail recipes, visit bacardi.com.